This project will provide the College of Pharmacy with both new and renovated state-of-the-art research lab facilities to ensure its growth and capacity to adapt to the dynamic and changing fields in pharmaceutical sciences. 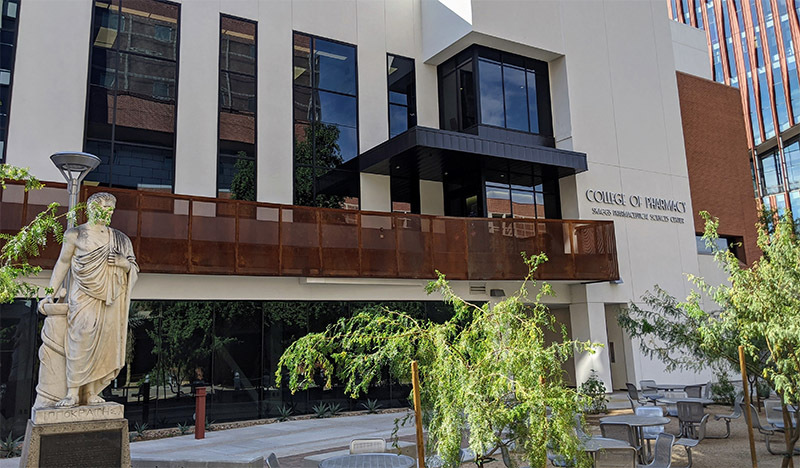 The College of Pharmacy intends to continue its innovation and excellence in research, practice and education and make a substantial impact on improving the health of people of Arizona and around the world. A new two-story addition will house biology and chemistry research labs. A separate smaller addition will display items from the Pharmacy Museum collection. Some existing building areas will be renovated, including research labs and administrative offices. Construction is in full swing with the foundations complete and the steel structure in place. Design of the museum addition is also nearing completion. and renovation of existing interior spaces has begun. And the project is on schedule for at later fall substantial completion.